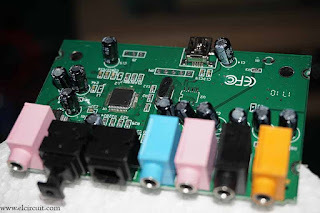 Hello, after a few busy days with making a 5.1-channel home theater project using a Ggainclone power amplifier, this finally comes with very satisfying results. 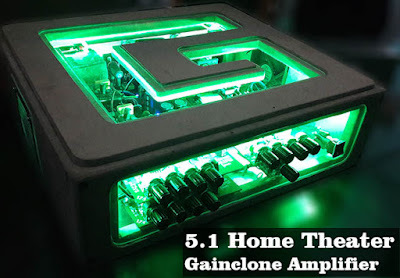 It is undoubtedly the performance of the Gainclone amplifier, in this project I use LM1875 IC and also LM3886. The number of IC that I use 5 pieces LM1875 and also 2 pieces LM3886. 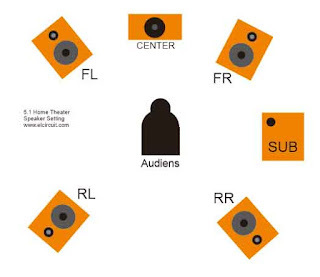 Where is the LM1875 IC for controlling Front speakers, Rear, and Center. IC LM3886 I use to control speaker subwoofer. 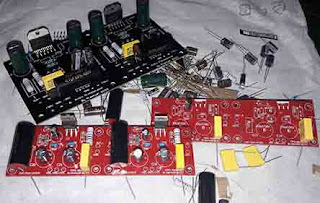 Some components for making this home theater project is not small as well. 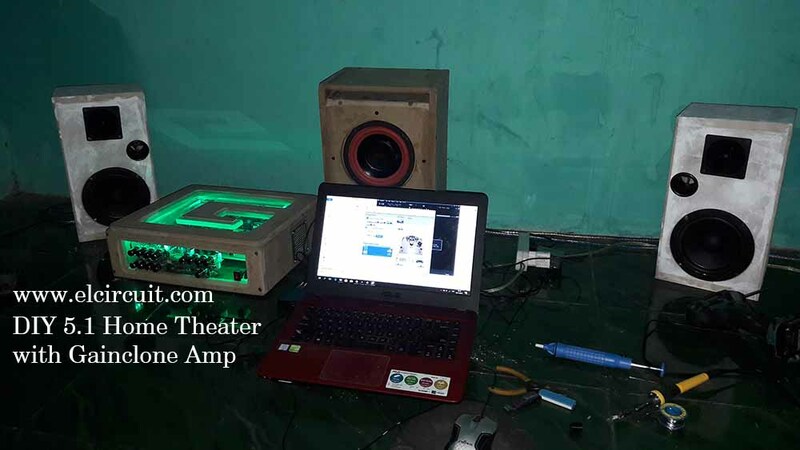 There are several amplifier supporting components such as stereo and mono tone control, subwoofer module, and also USB soundcard to separating the sound output from laptop/ pc into 6 channel: Front Left, Front Right, Rear Left, Rear Right, Bass / Subwoofer and Center. 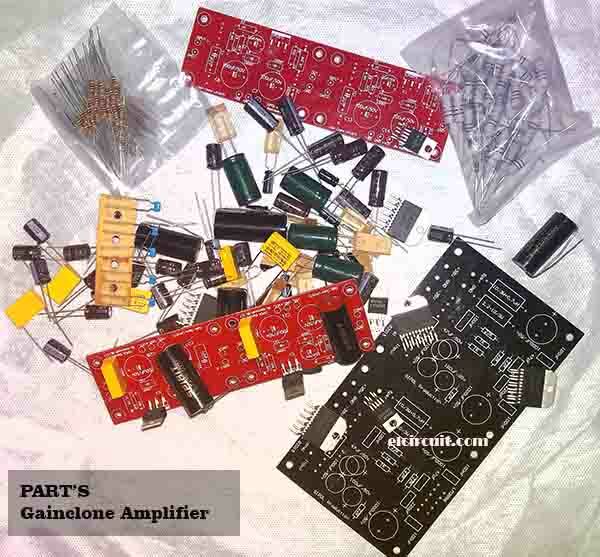 Some components are ready to be assembled, for the more complete gainclone amplifier can visit the link above. 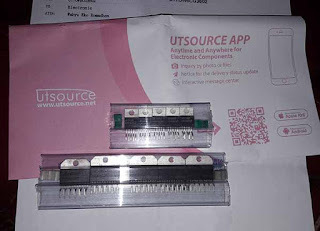 IC LM1875 and also IC LM3886 you can buy at www.utsource.net and also other components you can buy the site at a relatively cheap price and good service. 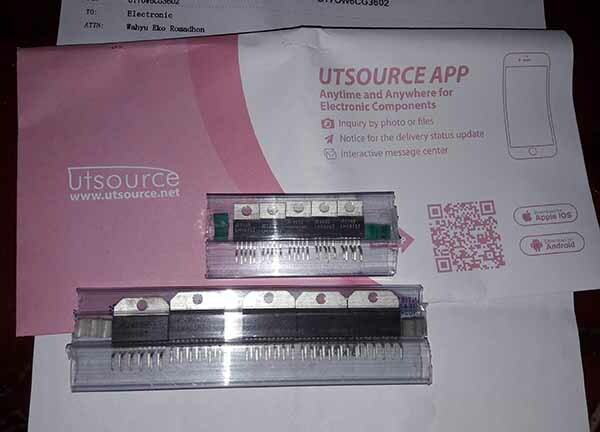 I myself bought IC Gainclone in utsource, very safe and comfortable buy there and do not hesitate to buy it I guarantee original. 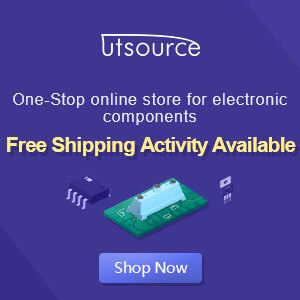 To buy it please you can register first at utsource.net if you feel confusion you can ask the customer service is very friendly. After that, the components are ready to assemble on PCB and ready to solder, do not forget to pay attention first PCB line path is correct what not before do soldering. If it feels right ready to be soldered. 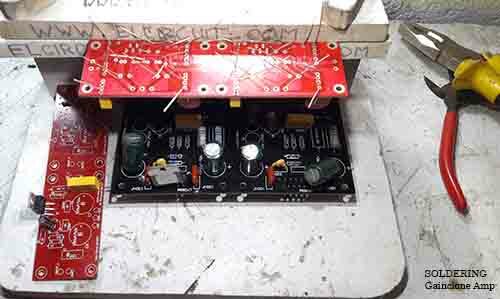 After it is soldered and ready to be assembled with tone control and power supply. 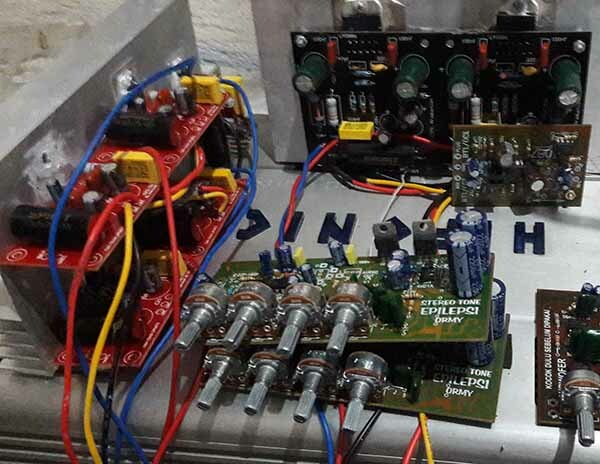 After a good soldering and tested power amplifier. 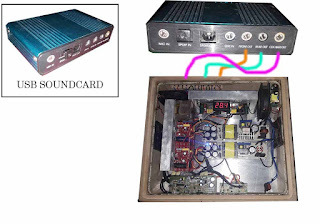 I have set up tone control, subwoofer filter, and also power supply. The power supply I use the switching mode power supply instead of using a conventional transformer. 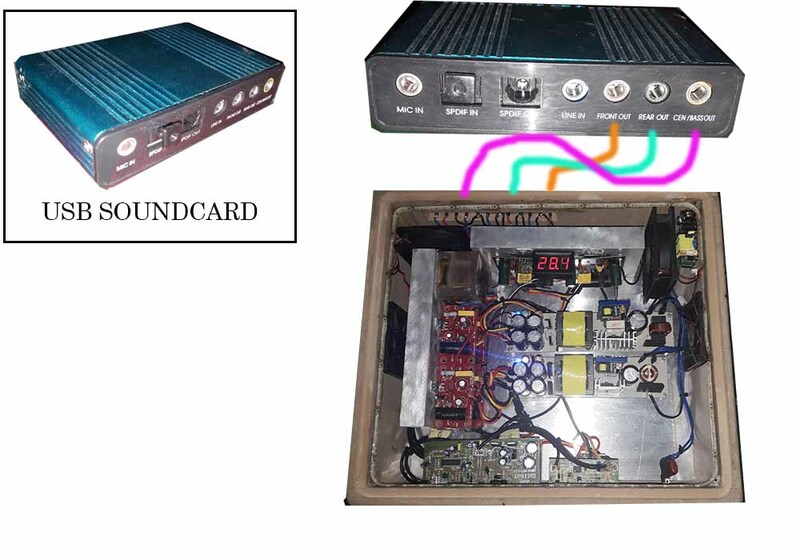 voltage supply IC LM1875 I give voltage 25VDC CT, LM3886 power supply voltage I give 30VDC CT.
Then for the amplifier box, I also make my own using plywood, aluminum, and acrylic as the material. 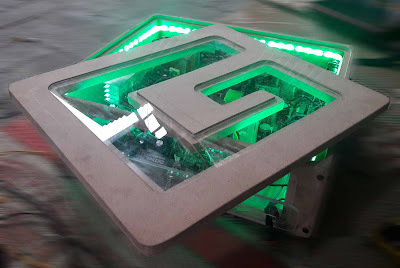 I just added the output terminal with the usual terminal, you can also upgrade it yourself. Chanel FR, FL, RR, RL, and center of Gainclone LM1875 and Channel Bass / Subwoofer output from LM3886 Gainclone Power Amplifier. 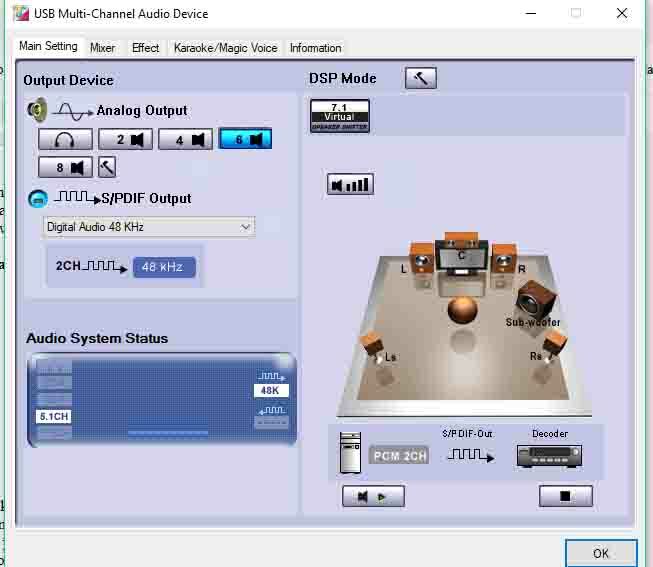 This 5.1 channel decoder is necessary to generate 6 different channel signals, for this home theater amplifier input I take from USB soundcard that I bought from the online store at a relatively affordable price. 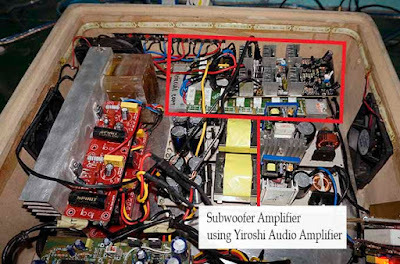 But the weaknesses can only be able to play music from a PC or Laptop because he is like a soundcard. 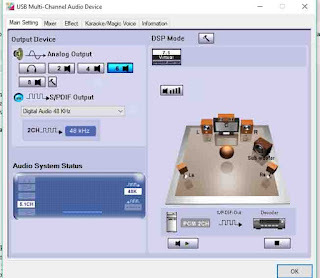 For the installation directly plug this USB soundcard into a laptop and install the driver to a PC or laptop, then install the application as shown below. Just choose the picture with number 6 speakers, to make output 6 channel and connect the output to each input amplifier. After the amplifier is tried normally, prepare your speakers for placement like the picture above so as to get the sound quality alive. 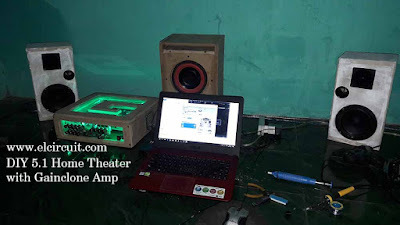 Below the video test from my home theater amplifier. 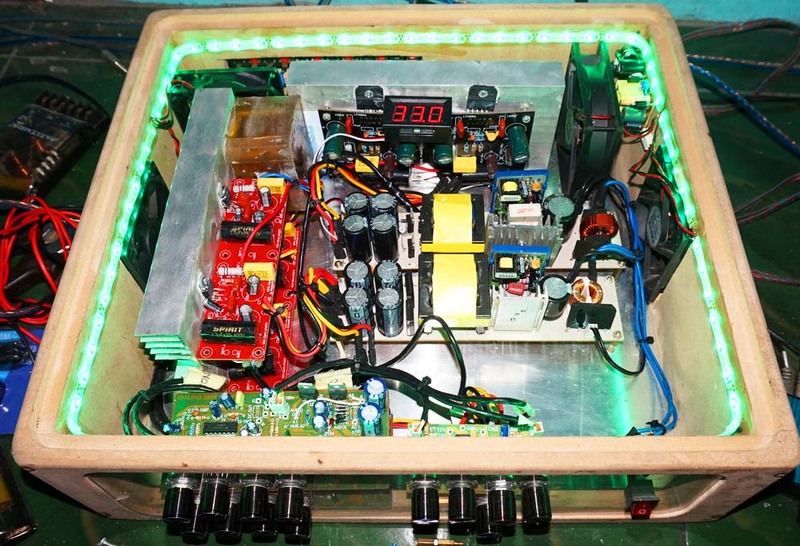 Wow, great project. Nicely done! Sorry noob questions here, if I want to print the pcb exactly like yours, could I just use the pcb layout photo in this site or do I need the eagle files? Thanks! Thanks for your good respons, for the pcb layout or circuit diagram you can visit the links on post. kmandal139@gmail.com or post your website please. i will update it soon kmandal. 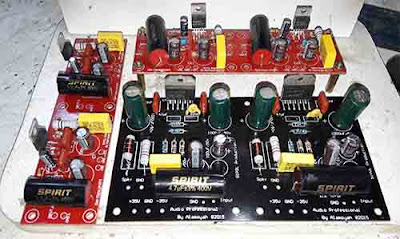 Mas wahyu... Kalau beli pcb nya dimana? Harga berapa.